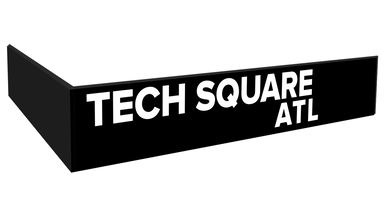 “The purpose of TechSquare Labs is simple: build companies,” said co-founder Allen Nance. He and the other co-founder Paul Judge launched the innovation incubator with first-hand knowledge of what it takes to build successful ventures. Both are seasoned entrepreneurs with decades of experience and extensive networks who are passionate about technology investing. Atlanta Startup Battle is their answer to connecting up-and-coming entrepreneurs with the resources they need to be successful. Familiar with the obstacles on the road to success, it was important to Nance and Judge that Atlanta Startup Battle offer more than a traditional pitch competition, which is why the five teams who make it past the application round go on to receive a full day of mentoring from experts in engineering, go-to-market strategy, and user-interface design -- even entrepreneurs who don't win the final prize walk away with a stronger company. The Battle culminates in five-minute pitches judged by a panel of venture capital investors with over $1 billion of investments in their portfolio. “Being part of this community has been very valuable to us,” said Musheer Ahmed, PhD, who won the first-ever Atlanta Startup Battle last year. His company FraudScope grew out of his research at Georgia Tech, was cultivated with help from the GT VentureLab, and gained attention by winning the 2016 IISP Demo Day. It uses a data mining algorithm to detect healthcare fraud, a $290 billion problem in the US alone. While the money was the initial draw to participate in the competition, it’s the mentorship that has really made a difference. “Allen especially has helped us make the right decisions to grow the business,” said Ahmed.